Blouse, regular fit waist length, three quarter sleeves with trumpet cuffs, boat neck, detachable scarf accessory. 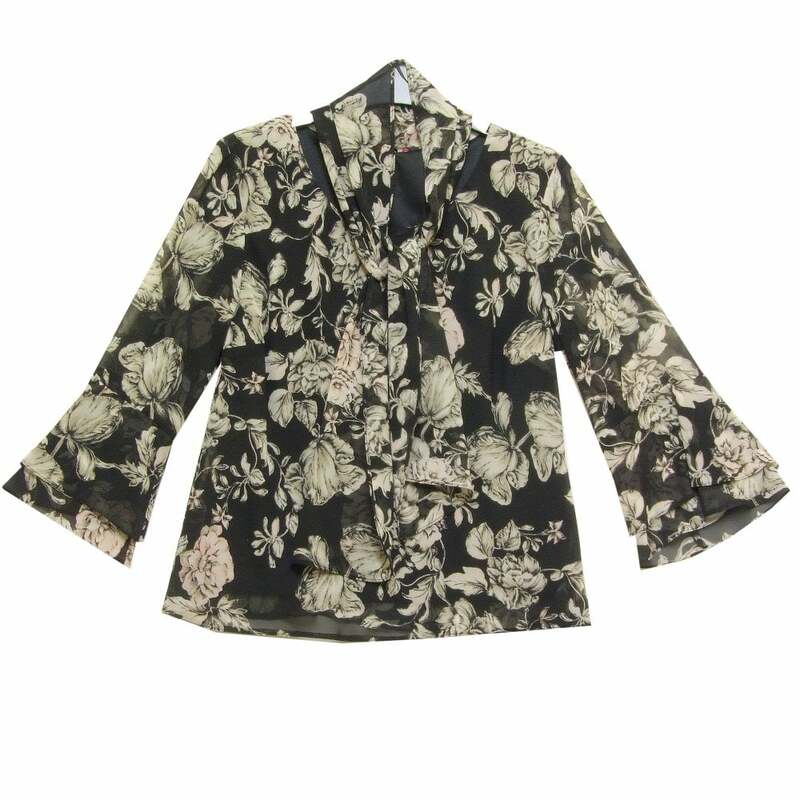 Shell in a polyester chiffon printed with floral design in black grey and pink. Lined in black stretch polyester.